Page 1 Guaranteed ... that's quite a promise isn't it? In a time of seemingly endless email scams promising you the world, this naturally generates a lot of cynicism on the part of the potential buyers of SEO services... i.e. you! Especially so if you have paid for an SEO service and been bitten or perhaps are still being bitten... i.e. you enter into a contract that delivers benefits, but does not deliver the benefits that you expected and need! Your SEO 'guru' (and I hope you haven't made the mistake of asking your web designer to do your SEO!) will ask you for praise and recognition when they get you from position 876 in Google's search results all the way up to position 18 - wow! But the cold hard truth is that you should have kept your money in your pocket and stayed at position 876... because you are not going to feel much joy at position 18... you need to be on page 1 of Google or just not bother! It is against this backdrop that I decided to turn the whole SEO industry upside down... yes, I am doing SEO, but that is not what I am selling to you... what I am selling to you is your website ranking on page 1 of Google for your chosen keywords! If I don't do this for you then my time and efforts cost you absolutely nothing! I have taken the unknowns and the risk out of online marketing for you! 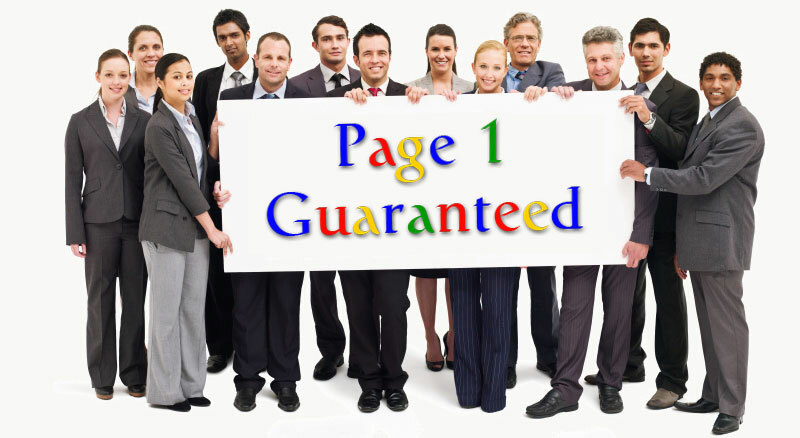 Contact me now to get your website onto Page 1... Guaranteed! Some other keywords that your competitors are using! Feedback about your website to help you improve conversions! If you are happy to proceed then pay a fully refundable deposit of £175! I ask this because this guaranteed and affordable SEO service is very popular, and charging a refundable deposit is my way of weeding out the timewasters from the people like you that are serious about getting their business onto Page 1 of Google... the deposit is fully refundable so if I don't get you to Page 1 then you get it back without any quibbles. I start working my SEO magic and you pay nothing until your website hits page 1 of Google!